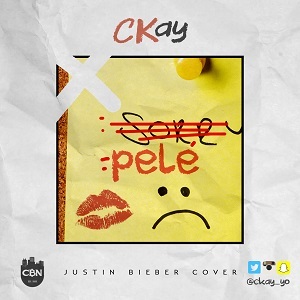 After making his artiste debut by featuring on "The Box" off MI's Illegal Music 3, CKay, CBN Artiste-Producer comes out with his cover of Justin Bieber's smash hit single, "Sorry". As expected, he adds his own spice to the beat. Follow him on Twitter/Instagram/Snapchat @CKay_Yo.